The day was over before I knew it. No clients after 6 pm and we were out of there! So…our new stylist Tracy took over the class. 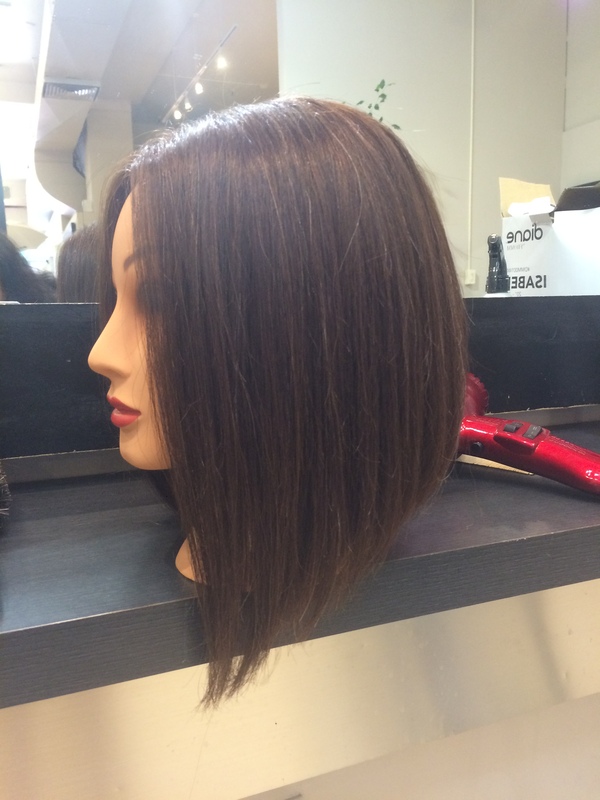 I decided we would do a graduated long bob.